Doug Gaster began Controlled Color, Inc back in 2006. Initially, we were a color management consulting company that offered Premedia services. Graphic design and photography quickly became our primary functions. 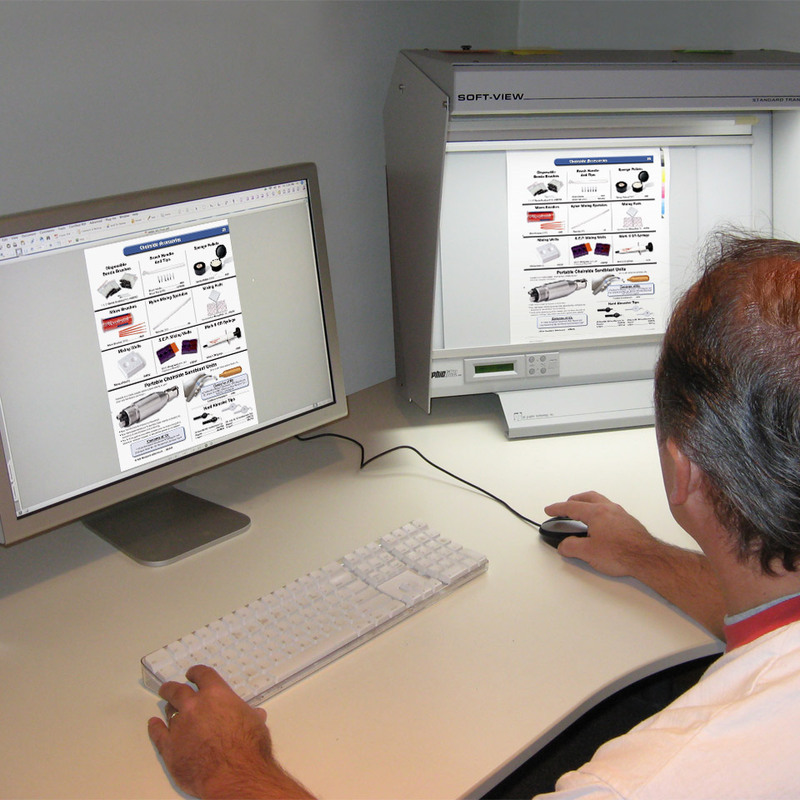 We began offering printing services and internet marketing services, and have never looked back. Our focus has always been on effective marketing. We’ve learned that great images, combined with messages that are on-point, and attractive design are the things that effective marketing is made of. Effective marketing is what keeps our clients coming back to us – again and again. Today, we find ourselves with all of the tools to be a complete one stop marketing service company. With our focus on quality and affordability, we believe ourselves to be one of the best options for most companies’ marketing needs. With our continual evolution, we’re constantly striving to help all of our clients’ marketing efforts to be more successful – and affordable. After all, if they’re not successful, then neither are we. Every business has a story, and we are truly fascinated by all of them. We truly want to hear your story, and that plays well with creating your marketing materials. Learning how you have – or how you’d like to – position your company, along with understanding your target audience, is the best first step for success. After that, we work with you to evaluate the results. We value your opinions, and offer suggestions from a marketing standpoint. Together, we zero in on marketing efforts that capture the best of both worlds. That is what creates truly effective advertising – effective advertising that you can be proud of! As a graphic design and marketing service, we understand the value of your brand. To capture the feel of your business consistently throughout your marketing efforts is a necessity. After that, we focus on performance of those marketing efforts. There is always a method that resonates better with your audience than all others, and we make it our goal to find it. Because at the end of the day, your success is the only thing that matters. Our goal is to make your business stand out among your competition, and make you the clear choice among your prospective customers. For people without a graphic background – or more pointedly prepress background, it can all be a confusing mess. When you have CCI in your corner, it’s no longer an issue – ever. We understand exactly the types of files used for any application, and will provide necessary files for each. It’s a value-added benefit that our clients appreciate almost as much as our work! Our mission is to create successful marketing campaigns for our clients, to make them look good in the process, and to do it at reasonable rates. From business cards to trade show displays, we create custom designs for any upcoming event or campaign you’d like to launch, and photography for print or internet use. CCI is the best solution for small to mid-sized companies who are budget conscious and would like to ramp up their image and marketing efforts. We’re also a solid choice for larger companies, as well. Congratulations!!! Here’s one for your “sales file”. See the attached ReadEx research on the new Assure ad that we did for the July issue of the AJO-DO. It was rated #1 by the readers and rated most effective!! Way to go dude – you can be proud! We just received our copy of the newsletter. I am blown away! The quality was unbelievable, such a step up from the prior newsletters. All the pictures popped and jumped off the page. I just wanted to say thank you for a job well done. You continue to provide fantastic service to us, and we really appreciate it! This looks great!!!!!!! You rock! There’s no time like the present to take action and find out what all of our clients already know. For affordability, quality, value, and effectiveness, you won’t find a better source than CCI. Whether you need premedia service for a 120 page catalog, or business cards, or anything in between, just shoot us a quick email through the Contact Us form, or call us during normal business hours. Whether we discuss your details on the phone or in person, all initial consultations are no cost, and no obligation. There’s nothing to lose, and plenty to gain. We will be the last marketing service you will ever need!